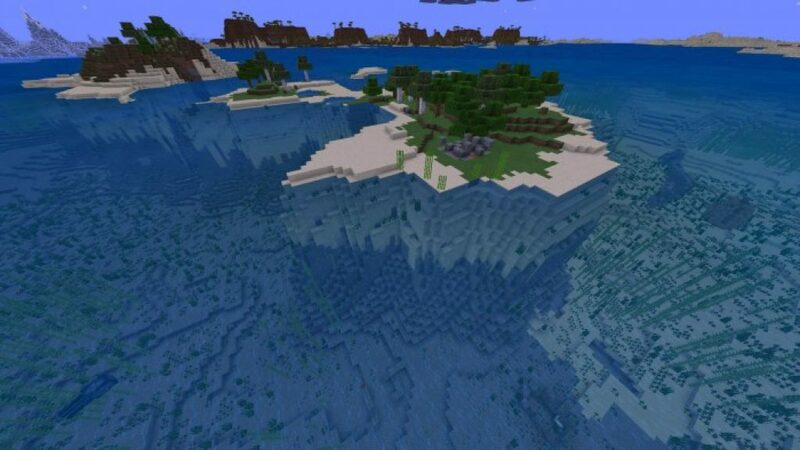 If you have version 1.9.0 of MCPE, then you can get a Seed Village with zombies and mushrooms on spawn. On it you will encounter zombies residents who dream of nailing you. And it is likely that they will succeed. So, if you lack the thrill, if no one has attacked you for a long time, this is a good opportunity to unwind. 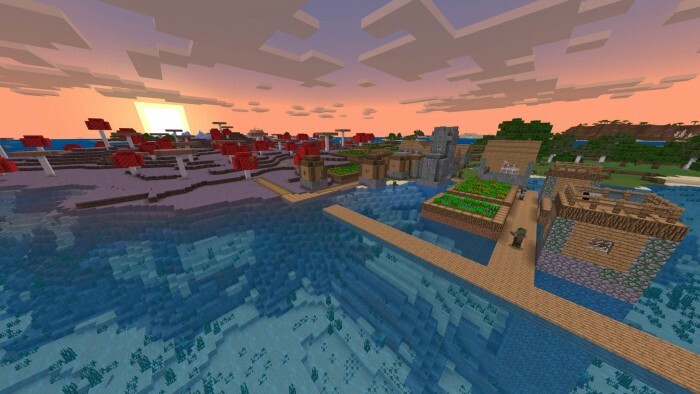 Why do you need a seed Village with zombies and mushrooms on spawn? Well, quite near those zombies will be wandering, which were discussed. In general, zombies in Minecraft on Android 1.0 are very dangerous creatures. Jokes with them are bad. Sid Village with zombie and mushrooms on spawn for Minecraft PE 1.9.0 will be another proof for you. In general, if you are ready for small new challenges, then it will be interesting for you to play. We hope that the zombies will be much voracious and will give you at least a look. You should immediately notice all the main locations, save up protection. And then you can already walk. Remember that your enemy will always wander around you. It should temper you a little. But in general, such a small test is worth every miner.